I have built a scale model of the Nintendo Switch video game console, featuring controllers that are detachable in a realistic manner, and the ability for the screen to be built in either direction. I have shown it at my local LEGO convention before, but have more recently built the red controllers and alternate tile screen option. Above is a version of the screen built with studs toward the top of the Switch, depicting Link climbing a mountain against a backdrop of a sunset over Hyrule, from The Legend of Zelda: Breath of the Wild. Below is a version of the screen built with studs toward the face of the Switch, but using 1x1 tiles to maintain a smooth pixelated surface for the screen, depicting the Master Sword in its pedestal in the Lost Woods, also from The Legend of Zelda. The controller attachment uses a combination of parts 30586 (Plate 2 x 8 with Door Rail) and 60478 (Plate 1 x 2 with Handle on End), which allows the controllers to slide unidirectionally in a method that I have not seen used in a set, though I have not verified that it has never been done before. Instead of the typical use as a hinge, I have used parts 3937 and 3938 for providing a slight indent to accommodate the rail, without the loss of structural stability that would occur from just having a gap or using a 1x2 panel. I have not yet built a controller grip for the "Joy-Con" controllers to attach to when separated from the screen, but the sliding mechanism is compact enough to not pose a problem. I have only built the controllers out of red and dark bluish gray / medium stone due to limited availability of the curved parts 30357, 30565, and 85080 (or 3063). To facilitate the screen being built at a consistent depth in either direction I have used 2x2 jumper plates, since the hollow studs provide a half-plate depth against the face of a plate or brick, but get covered by the tubes of 2x plates beneath the tiles. The console (excluding screen) contains 94 or 96 parts, depending on which screen style is attached. Each "Joy-Con" controller contains 47 parts, thus 94 parts for one pair of controllers. The screen with studs toward the top of the Switch contains 203 parts as shown, but is quite variable upon the design. The tile screen contains 180 tiles supported by 10 plates. Below are the separated sections of the build, for which the total part count of what is shown comes to 679 (92+2+4+94+94+203+180+10). I have submitted the idea on the LEGO Ideas website, and if anyone is inclined to support the product idea, that would be appreciated. If anyone has questions or feedback, feel free to comment below. So I'm not exactly the best at starting off topics on here. I'm not a poet, and I can't make words sound amazing when they're not. But over on the Superhero Figs thread (which of course can be found in this forum, thingy anyway) myself and some other members discussed pieces for a Nathan Drake figure, and that got me thinking that others probably want to create and share ideas for other Video Game figures as well. So I present to you after a bunch of yammering the "Purist Video Game Figures" thread. Have fun and Let's build. Has anyone made things from their favourite video games? I wonder, how many people make models from their favourite video games come to life in lego form? This can include any game; World on tanks, Need for Speed, Counter strike, Overwatch, etc. https://mobile.twitter.com/LEGO_Group/status/801078089417687040?p=v LEGO City Undercover is re-releasing on Xbox One, PS4, and Nintendo Switch. Also, notice Chase's new uniform in the picture. Logo's slightly different too. Guess there's some slight differences. Great for people who don't own a Wii U! Guess this explains Chase's appearance in LEGO Dimensions and a 2017 City set. Yup, it's happening! So first, WB Interactive Entertainment said they will be "making a massive announcement" tomorrow that "includes two of the world's most popular entertainment brands", as seen here: http://www.neogaf.co...d.php?t=1178484 But here is the REAL proof. Amazon Italy puts this up early: http://www.amazon.it...intenevery05-21 The description says (translated with Google): "*The Force is strong here … The best-selling LEGO video game franchise returns with a journey full of action and humor based on the hit movie of Star Wars *LEGO Star Wars: The Awakening of the Force, players relive the action of the movie Star Wars: The Awakening of the Force, told through the lens of intelligent and witty LEGO *LEGO Star Wars: The Awakening of the Force also introduces Multi-buildings and Battles with the Blaster gaming universe LEGO The best-selling LEGO video game franchise makes its triumphant return with a journey full of action and humor based on the blockbuster movie. The game will also feature exclusive content playable that bridge the gap between the story of Star Wars VI: Return of the Jedi and Star Wars: The Awakening of the Force. Play as Rey, Finn, Poe, BB-8, Kylo Ren, Han Solo and many others in LEGO Star Wars: The Awakening of the Force! The Force is strong here … The best-selling LEGO video game franchise returns with a journey full of action and humor based on the hit movie Star Wars. Play with Rey, Finn, Poe, BB-8, Kylo Ren, Han Solo and your other favorite characters from the movie! LEGO Star Wars: The Awakening of the Force, players relive the action of the movie Star Wars: The Awakening of the Force, told through the lens of LEGO intelligent and witty. The game will also feature exclusive content playable that bridge the gap between the story of Star Wars VI: Return of the Jedi and Star Wars: The Awakening of the Force. LEGO Star Wars: The Awakening of the Force also introduces Multi-buildings and Battles with the Blaster universe of LEGO videogames. With Multi-buildings, use LEGO bricks available to open new paths, and then rompili ricostruiscili to open others! During the battles with the Blaster, use the environment as protection to address the First Order." Thanks go to Brick Inquirer for pointing this listing out: http://brickinquirer...ced-on-tuesday/ So we were probably right in saying that the Finn polybag is a pre-order bonus for an Episode VII game... It also says the release date is May 31st. Could be a placeholder date, though. I was wondering if buying DLC packs for the LEGO video games also unlocks new parts in the character customizer? Hey everyone, I've been super into the new game Hyper Light Drifter and am looking at making a custom Drifter figure. I've sourced a bunch of parts from BrickLink and Cape Madness already but am feeling kind of stuck on the torso. I feel like I need to find a way to preserve his yellow jewel thing, and maybe his belt or the top part of his tunic/girdle. Any suggestions are welcome! So i been recently playing that popular game undertale and after seeing some Lego versions of one of the characters i decided to try and make my own the wheel part was the most difficult , mostly cause im pretty new at this , and also because i seemed to lack any pice that was small enough to look like the ingame sprite so i had to improvise a little , im not 100% happy with the wheel and i may change it in the future , still this are some pics of it had to dig up some of my old bionicle parts for the arms and really old lego red and yellow bricks and you can see some dents on them from the past of the years Ingame Sprite On the floor B69aFts.jpg Standing against a wall , of course the build cant stand by itself SRJwkSF.jpg So tell me what you think and if you have any ideas to improve the wheel you are welcome ! The Harry Potter line was one of my favorites and I (like many) was crushed when it was discontinued. I have been working on decals of characters that were not released, based on their appearances in the Traveller's Tales games. I haven't actually used any of the decals yet, so I'm not sure how they would look on a physical figure (I'm waiting for the technology to catch up so that I can affordably make LEGO-quality figures). I'm not sure how many other Potterheads are out there, but I thought I would share a few that I have worked on. Enjoy! Nymphadora Tonks: tonks by Orpheus McAdams, on Flickr Dudley Dursley: dudley by Orpheus McAdams, on Flickr Cedric Diggory: cedric.svg-path4647-456 by Orpheus McAdams, on Flickr I welcome any feedback on these! I'm not sure if there as a thread for this yet but I didn't find one. Is anyone on Steam? 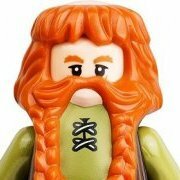 I think it would be fun to share usernames and create a Eurobricks community. I'm sure there are some common multiplayer games between us (I don't own many myself though ). My username is montgocloud, what about you guys? EDIT: Perhaps this would be better suited for the Community forum.